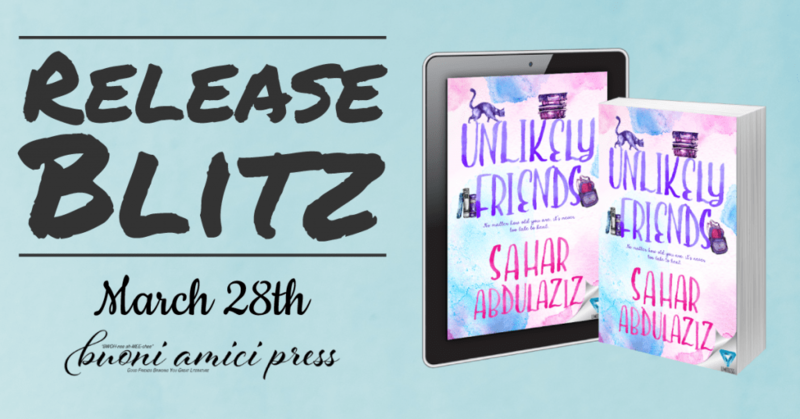 Unlikely Friends Release Blitz with Excerpt and Giveaway! Irwin is not only the local Librarian; he’s also a book snob and an all-around grouch. There’s nothing he values more than his privacy. As a loner, he’s happy to be surrounded by books instead of subjected to the incessant blatherings of dysfunctional people. The one thing Irwin despises more than people is change. 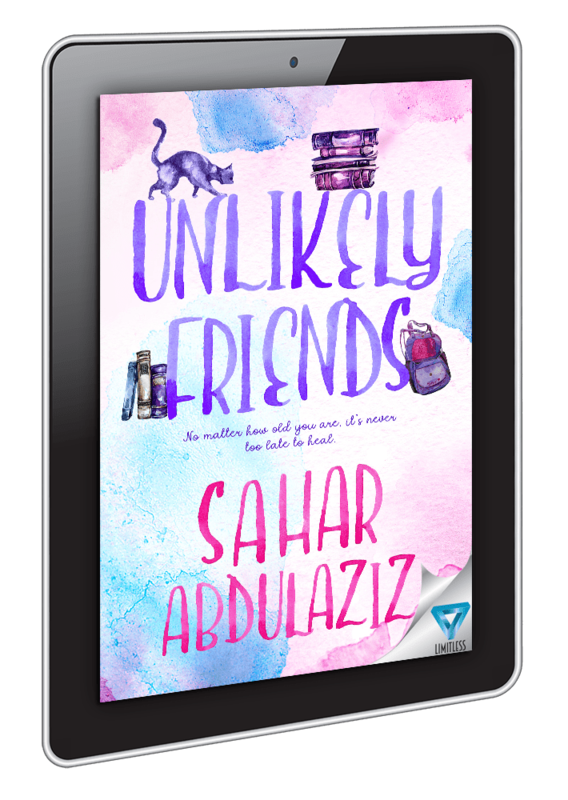 He’s content in his predictable, routine existence…until a young girl barrels her way into his dreary life and turns it upside down. Harper is witty, smart, free-spirited—but most of all, stubborn. Baffled by her need to gain his friendship, Irwin does his best to brush her off, but Harper refuses to budge. In fact, it only makes her latch onto him even more. Friendship, after all, can be found in the most unusual places. Irwin groaned and began washing out the mugs. Originally from New York, Sahar moved to Pennsylvania in 1993 with her growing family. She holds a Bachelor’s degree in psychology and a Master of Science degree in Health and Wellness Promotion and Administration, as well as a certification in Community Health Administration. In 1995, she received a Certificate in Sexual Assault and Domestic Violence Crisis Intervention Counseling, and shortly after, as a Domestic Violence/Sexual Assault Counselor/Advocate. She volunteered for many years as a hotline worker and counselor/advocate. In 2016, Abdulaziz received an award for Community Written Expression at the Second Annual Monroe County Image Awards and in 2018, nominated for the Rabata, ‘We Are Aisha’ Award in the category Writer/Author. Most recently, she has guest co-hosted for Sistah Chat Radio, WESS 90.3 FM, Gynesis Radio, and is a member of the Pocono Liar’s Writer’s Club. Rep’d by Djarabi Kitabs Publishing and Limitless Publishing. Bastien’s Bite Release Blitz with Excerpt and Giveaway! In Other Words Cover Reveal!